Our stay at the hostel was great. The brekfast choices were excellent. The only drawback was that our room was on the 4th floor without the elevator, be prepared. Amazing hostel - staff were lovely, fantastic location, beautifully decorated and surprisingly cheap. The free breakfast included is good too. This is an amazing place. I stayed for almost a week and would have loved to stay longer. The staff is charming, enormously helpful and always available. I had a private room on the 4th floor (warning- no lift, but the lovely young. man who checked me in, carried my bag all the way up!) 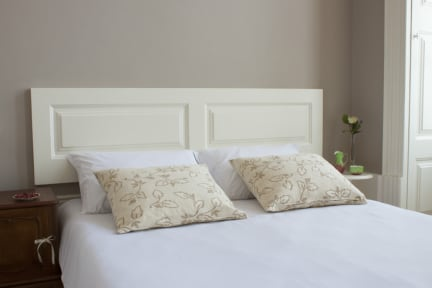 With breakfast and towels included In the private room rate, you won’t find a better bargain in Porto. I interesting mix of travelers from many countries and of all ages. I can’t recommend this highly enough! One of the best hostels I've ever been. Primarily because of the stuff's friendliness. Their genuine hospitality is really remarkable and hard to find. As for the services and again we were amazed. They offered us free breakfast (and it was a very good breakfast). Definitely recommend to check it out! GREAT location. We have a double room with ensuite bathroom. Room was tiny but perfectly clean and everything functioned well. Comfortable bed and linens. Breakfast was a bit weak. Nice that it was quiet and the front desk staff was wonderful and very helpful. We would stay here again any time we come to Porto. Superb Location! Perfectly neat and clean! Close to almost all the attractions! Friendly staff! Good breakfast! Just one thing which I did not like is that there are no lockers inside dorm and there is no lock for the door of dorm. Quiet hostel which is perfect if you want to relax but not good if you want to socialize. Anyhow we loved to stay here. Highly recommended. I would love to stay here again. Amazing location and breakfast (peanut butter, home made jam, home made cake, fruit, ham, cheese and much more). The hostel was very clean and quiet. You only have one small common area where to spend some time. The staff was very kind, but they did not mention anything about the city tax when, at my arrival, I wanted to pay everything in one go... They told me about that at the check out when I had no more money left and I was leaving. This was quite dodgy and I did not like it! 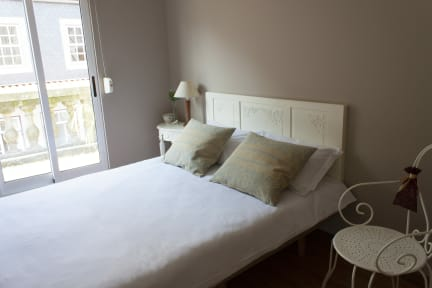 Being Porto Hostel has an unbeatable location in the heart of Porto, just a short walk from São Bento station and the Ribeira, and all shops and restaurants between. The staff are friendly and helpful, and the facilities modern, clean and high quality. However, the beds don't have individual lights and the top bunks have no accessible power outlets. While I was there there was also no kind of communal life which was a shame. Breakfast is good. Overall, a good base to stay.